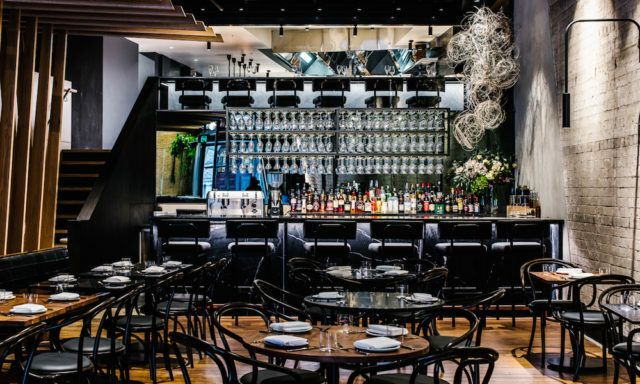 English-born Executive Chef Harry Stockdale-Powell (ex-Rockpool 1989, Marque) along with business partner Emma Darrouzet has opened Bouche on Bridge and basement bar The Cellar in the heart of Sydney’s CBD. Opening on September 20, Bouche showcases a menu full of local produce, reflecting Stockdale-Powell’s passion for sustainability. The menu features dishes such as Hay smoked chicken with white soy from the farm, and rosy snapper with smoked white beans and Sicilian olives from the sea. The kitchen here also follows an eco-friendly approach, producing in-house where possible, from the bread and cultured butter to cold pressed olive oil and cured meats, all made on site. Despite the high-end produce, Bouche emphasises a casualness in dining with Stockdale-Powell saying, “Bouche brings together our fine dining and food service experience but in a more relaxed atmosphere”. In addition to the restaurant, Bouche offers a bar food menu of small bites, oysters, cured meats and cheeses. Sydney’s newest 80-seat restaurant caters for lunch and dinner six days a week. For more info head to boucheonbridge.com.